Happy almost-Thanksgiving! I've been working on so much Christmas stuff lately, I keep forgetting that Thanksgiving hasn't happened yet; my brain already skipped over it. 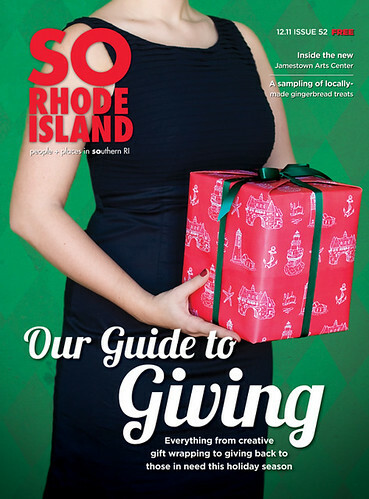 Anyways, here's some work I did recently for the cover of SO Rhode Island's December issue- a custom wrapping paper design with illustrations of local landmarks. This was my first attempt at patterns, so I kept it simple. 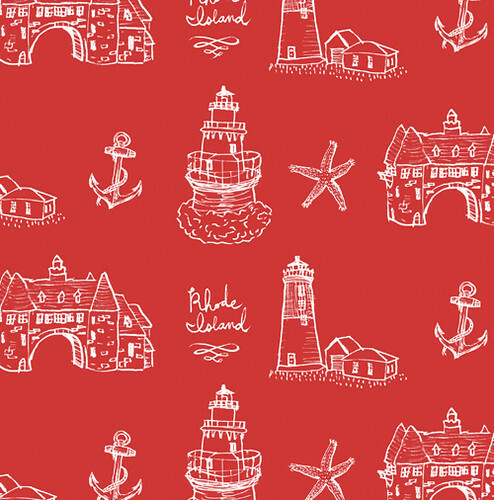 There are so many great pattern designers out there that it can be intimidating to even try, but it was a lot of fun and satisfying to see the final product. Thanks to Stacey Doyle for her photography work on the cover!